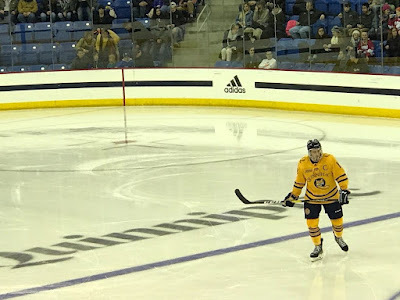 After a four game road trip that took Quinnipiac to Colgate, Cornell and Maine, the Bobcats returned home to Hamden to the friendly confines of the People's United Bank Center where they shut out the defending ECAC champion Princeton Tigers 3-0 on Friday night behind a 20 save effort from Andrew Shortridge. The win moved Quinnipiac to 12-2-0 (5-2-0 ECAC). "It was a great win, head coach Rand Pecknold said following the game. Princeton is a really good team. They have some of the better players in the country, not just in our league in Veronneau, Kuffner and Teves. They are really well coached and I am impressed by their staff and the job they have done." 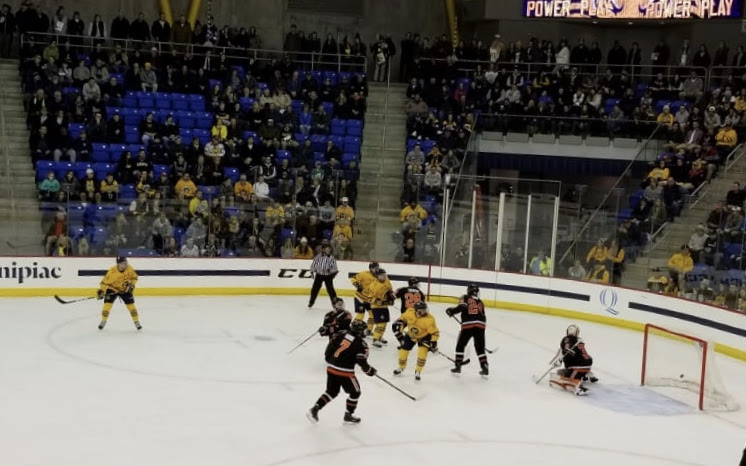 The first period looked as if the game was going to remain scoreless heading into the intermission, but a cross checking penalty with eight seconds left by Princeton co-captain Josh Teves gave Quinnipiac an offensive zone face-off late. Odeen Tufto won the draw back to Chase Priskie who rocketed home his fifth power play goal of the season and ninth overall. The teams played to a second period stalemate that saw a potential Princeton goal waived off after the net came loose. But it was the Quinnipiac defense that really committed itself to shutting down the Princeton top line tonight holding them to just seven shots. "I was really happy with how myself and [Karlis] Cukste played tonight shutting down Veronneau, Kuffner and Riche line, Chase Priskie said. 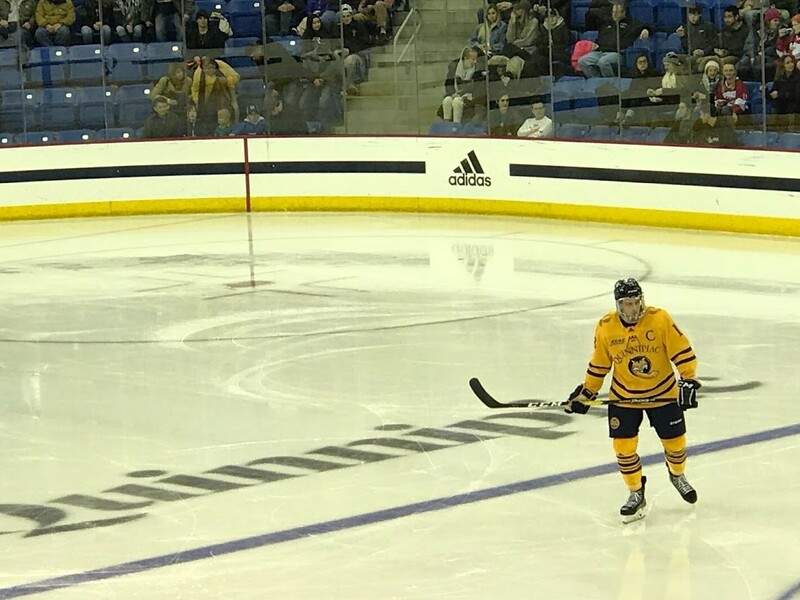 Quinnipiac found an insurance goal after forcing a turnover in the neutral zone that was picked up by Scott Davidson who wristed one high glove side past Princeton goaltender Ryan Ferland. "We needed that, he needed that, Pecknold said about Davidson. He's played really well. He's a great kid. He has high character and has done a great job for us over four years." Andrew Shortridge picked up his fifth win of the season and second shutout for a Bobcat team that has five shutouts already this season. Odeen Tufto added an empty net goal to seal the win giving him his tenth goal of the season and sixth multi point game. The two teams conclude the series as they meet up tomorrow night in Princeton, New Jersey at the Hobey Baker Rink with game time set for 7 pm.